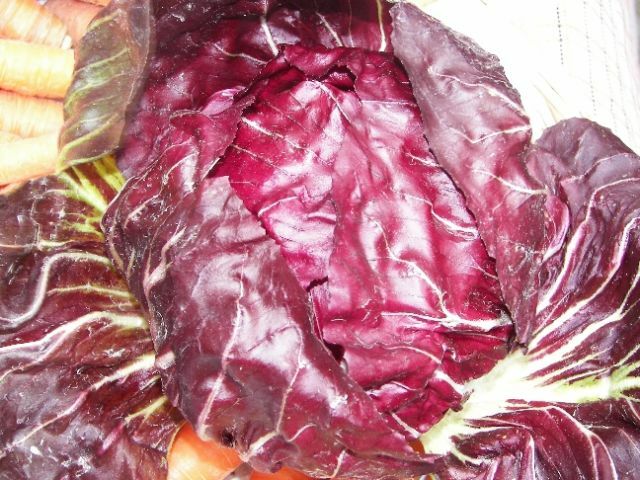 Radicchio is a leaf chicory (Cichorium intybus, Asteraceae), sometimes known as Italian chicory. It is grown as a leaf vegetable which usually has white-veined red leaves. It has a bitter and spicy taste, which mellows when it is grilled or roasted.